Explanation: This moon is doomed. Mars, the red planet named for the Roman god of war, has two tiny moons, Phobos and Deimos, whose names are derived from the Greek for Fear and Panic. These martian moons may well be captured asteroids originating in the main asteroid belt between Mars and Jupiter or perhaps from even more distant reaches of the Solar System. 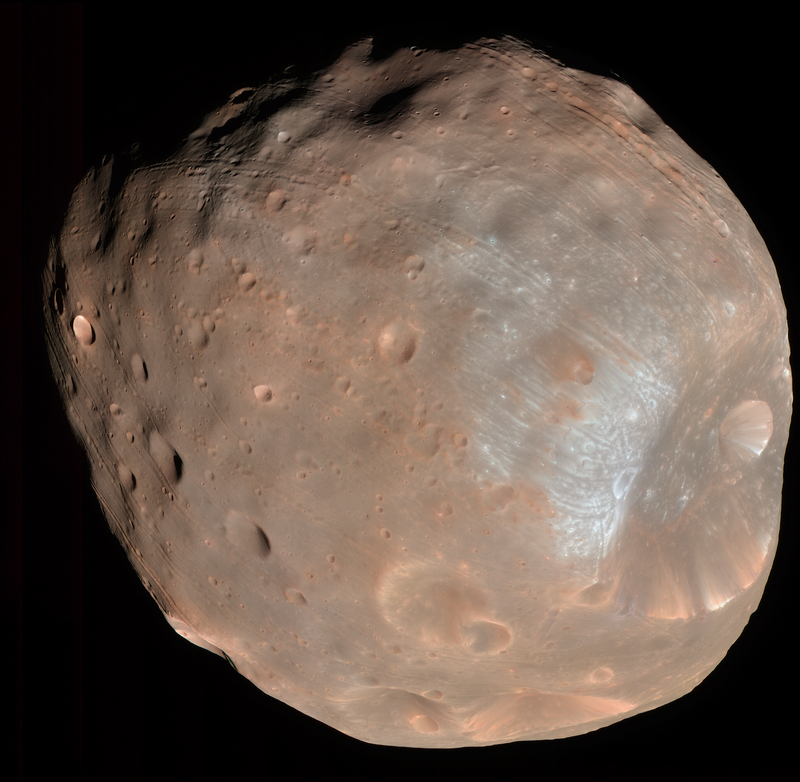 The larger moon, Phobos, is indeed seen to be a cratered, asteroid-like object in this stunning color image from the Mars Reconnaissance Orbiter, recorded at a resolution of about seven meters per pixel. 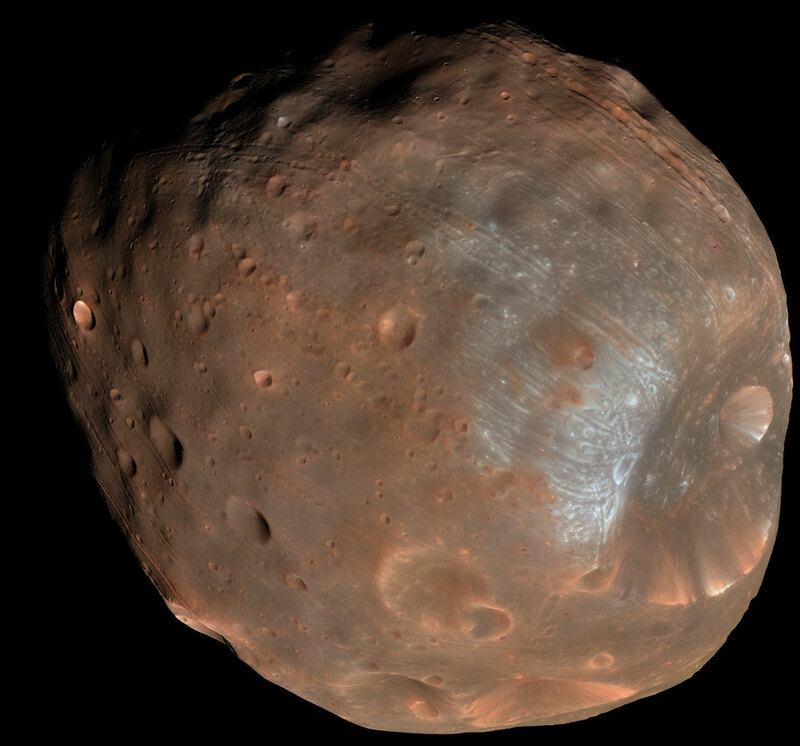 But Phobos orbits so close to Mars - about 5,800 kilometers above the surface compared to 400,000 kilometers for our Moon - that gravitational tidal forces are dragging it down. In 100 million years or so Phobos will likely be shattered by stress caused by the relentless tidal forces, the debris forming a decaying ring around Mars.